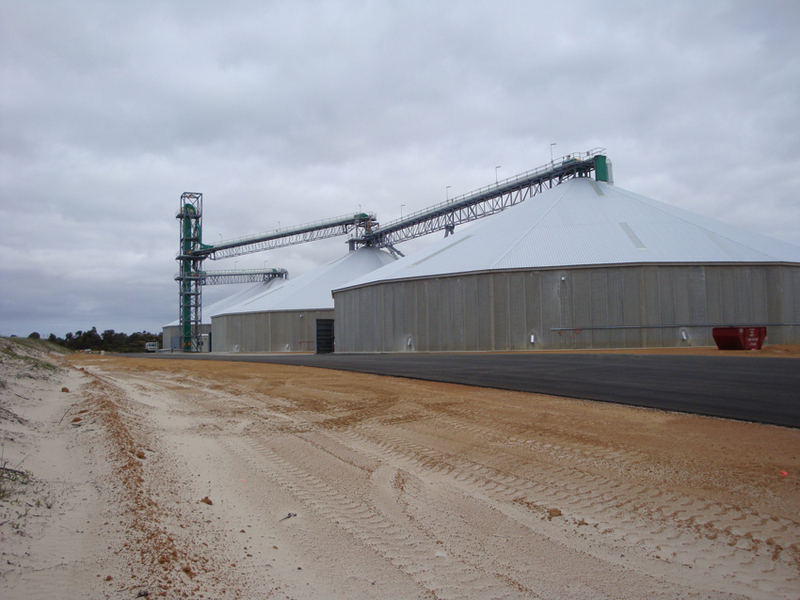 Sealing of the larger grain storages with capacities of 10,000 tonnes or more which is far greater than the general farm silo, the Australian Standards AS2628 is not used by the bigger grain handlers in Australia. 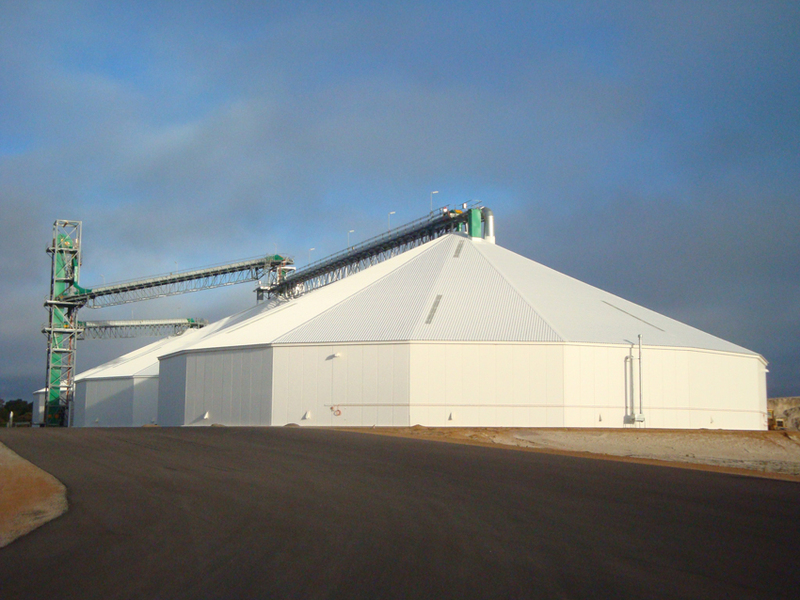 These larger 20,000-tonne grain storages are sealed and tested to a standard of internal pressure decay to not more than one-half of an induced pressure, (200 Pascal’s) over a 10 minute period when the storage is empty. This is to be carried out only when the storage has internal storage pressure equal to or less than the ambient external pressure. 1. 3 x 20,000 tonne unsealed newly built silos ready to be sealed. The roof has been sealed externally and the walls have been sealed internally. This concept of sealing is the traditional sealing method since the early 80’s. Global has over the last few year started sealing the entire silo internally in area’s that have bird attacking the seal issues. 2. This application is called “End Stopping” which is installed externally. Bostik Prestick 5214 Black Sealing Strip product is cut into a rectangle of approximately 150mm x 150mm and installed where the cladding lap-ends near the gutter line. The lap ends are unscrewed and lifted apart and the Prestick 5214 Black Sealing Strip product is placed between the laps. The cladding is then re-fixed and tightened down with the original teks that had been removed. In addition to existing tek screws, additional stitching screws may be used to ensure the roof sheets are drawn firmly together. 3. 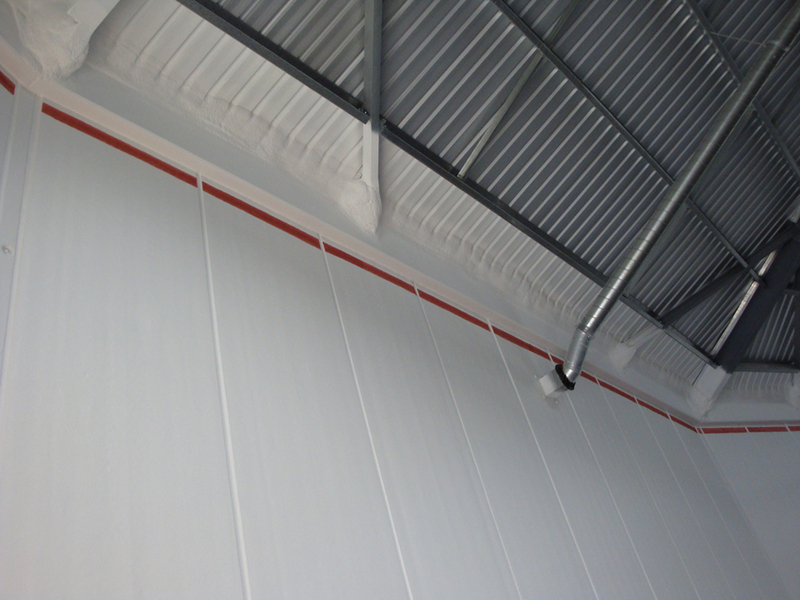 Global Flexithane 303 (2 part Polyurethane Foam) is sprayed internally over the endstop, encasing the roof to wall void. 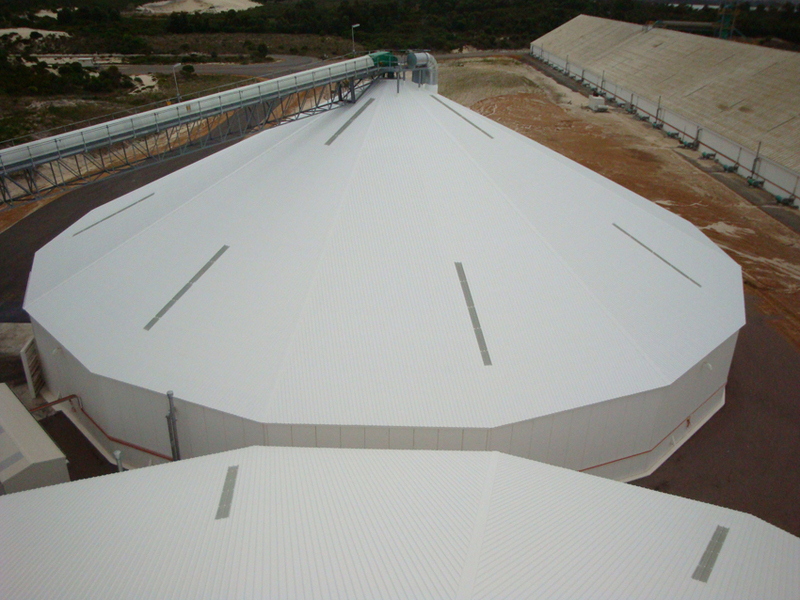 Global Flexithane 303 is highly flexible strength foam which has been design by Global to withstand massive structural movement within the silo. 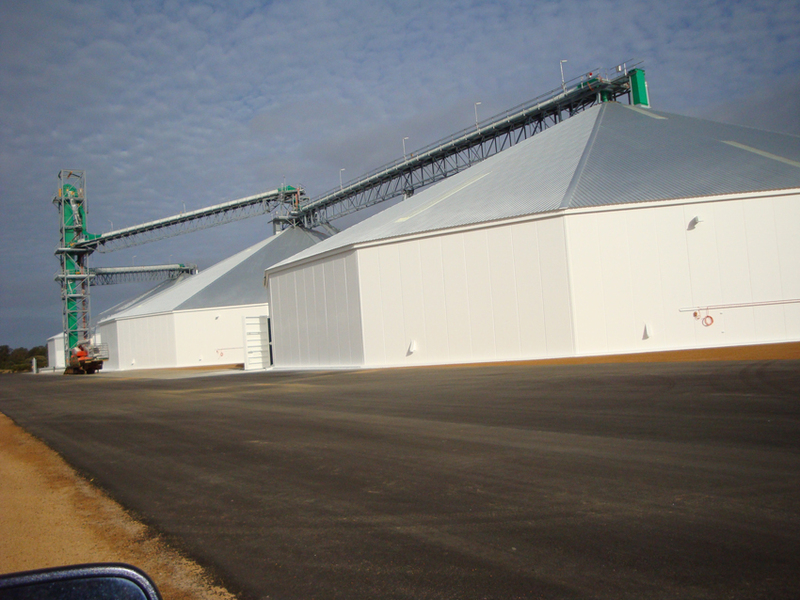 The Global Flexithane 303 is applied in a manner to create dust shedding in areas that are flat and will hold grain or dust. 4. The internal wall being sealed with Glo-Mastic membrane over our concrete penetrating Sealer “A” 101 sealer. 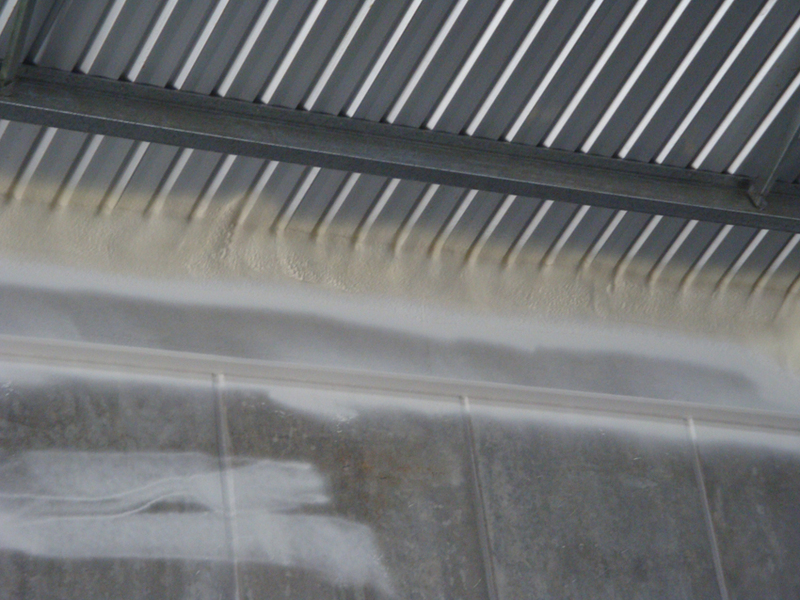 Once the Glo-Mastic is dry we apply a coat of HRC (Heat Reflective Coating) over the top of the membrane and the foam to minimize the grain hang up on the walls. 5. The internal walls finished off with HRC with a RED file line installed to give the operational staff an indication on where to stop the filling of the silo so no extra force or pressure will be placed on our seal. 6. 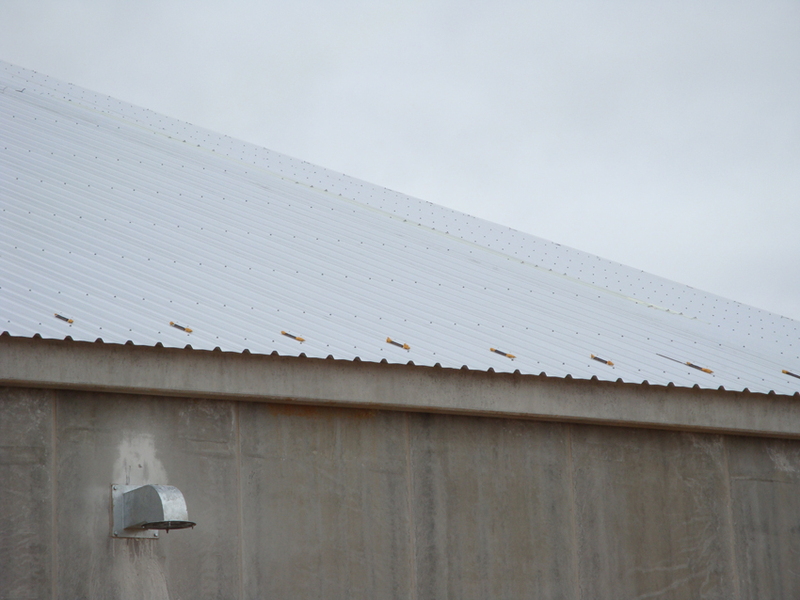 The roof is sealed externally with all flashings, joints, bolts and penetration sealed with Glo-Mastic membrane. The larger gaps at the ridges are sealed with a combination of Glo-Mastic membrane and chop strand Fibreglass. 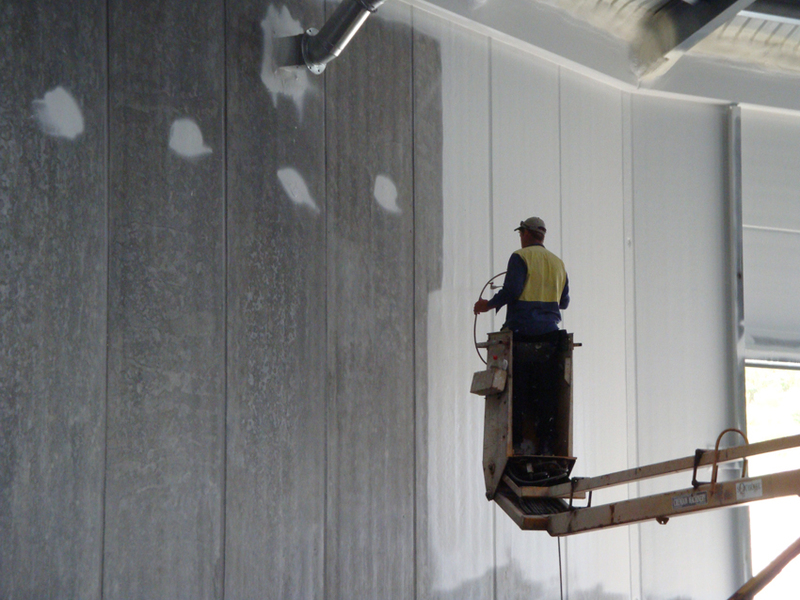 The Glo-Mastic membrane is applied using an airless spray pump which gives you a seamless finish. 7. The external wall have been coated with a penetrating coat of Sealer “A” 101 sealer and Glo-Mastic membrane was used to seal over any hair line cracks that may appear from installation or loader damage, followed by 2 coats of HRC topcoat. All electrical and aeration ducting masked to avoid and overspray during the sealing process. 8. 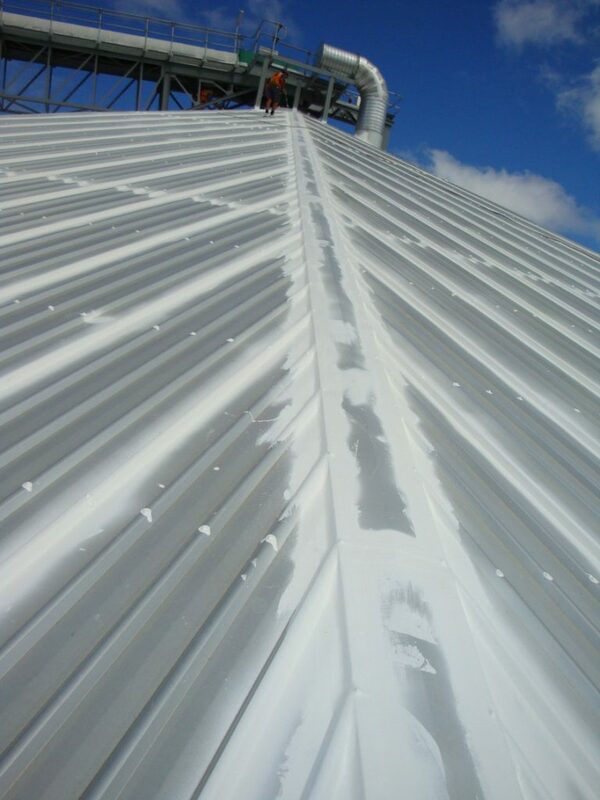 Topcoat application of HRC over the entire roof surface to reduce the internal temperature and pressure on the seal. 9. Sealing project completed in 10 weeks. 3 x 20,000 tonne silos ready to be filled and fumigated.